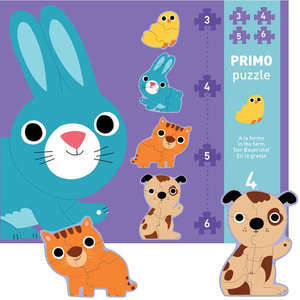 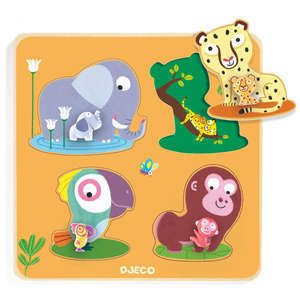 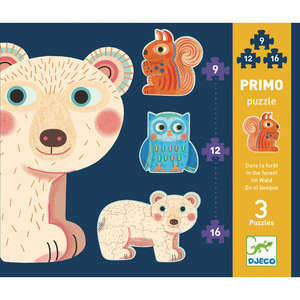 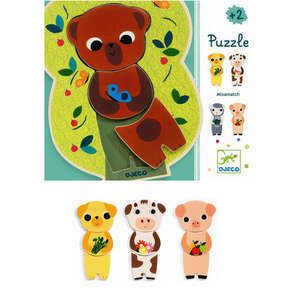 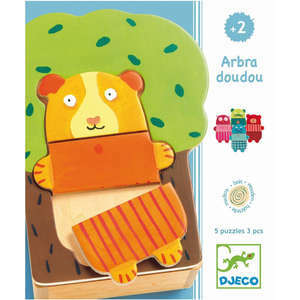 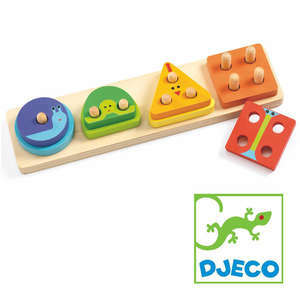 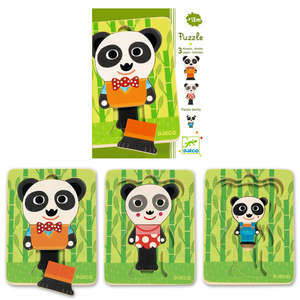 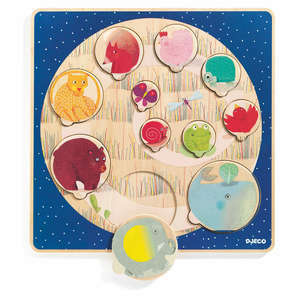 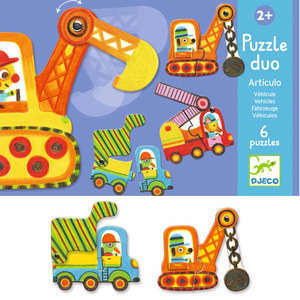 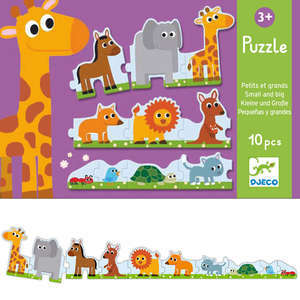 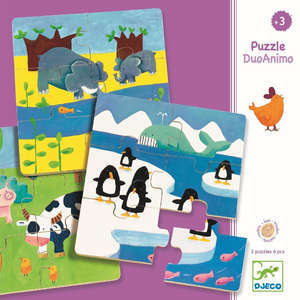 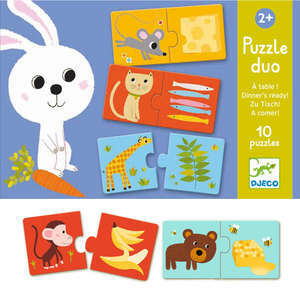 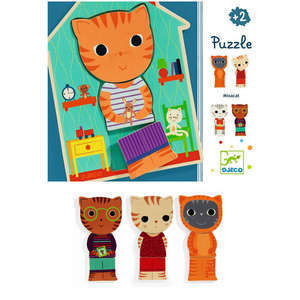 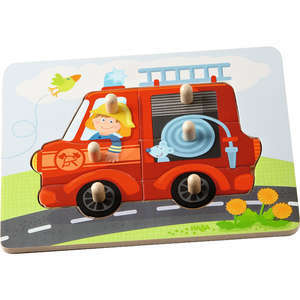 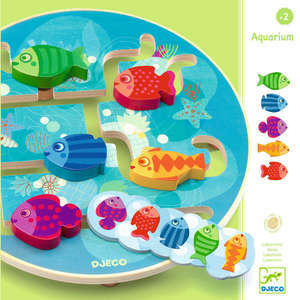 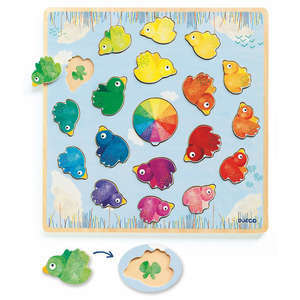 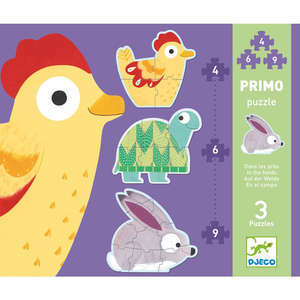 Colourful little beasts wooden relief puzzle from Djeco. 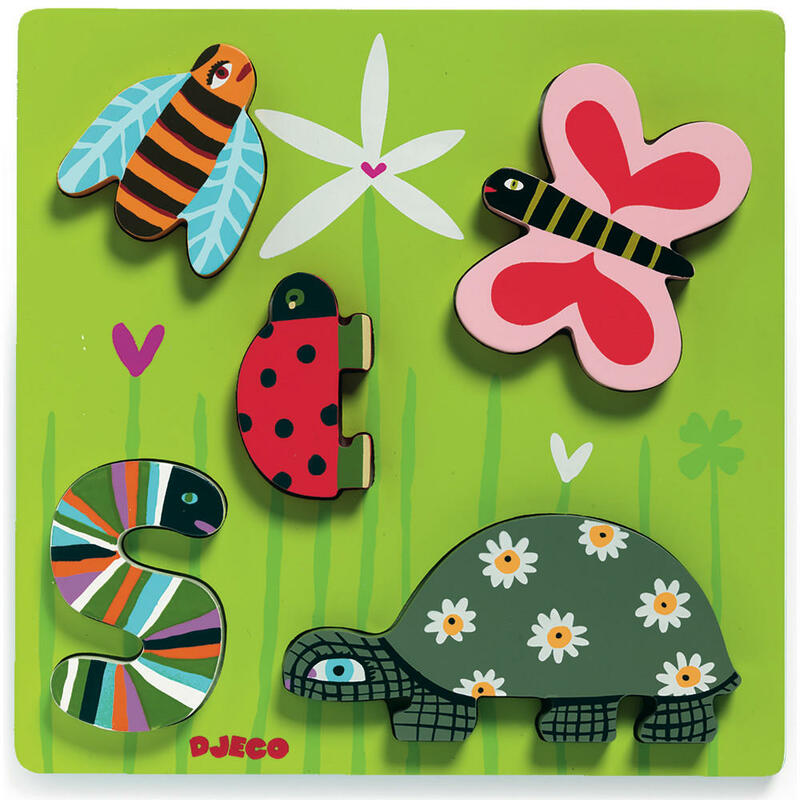 The five garden bugs and animals can be lifted out and used in small world play scenes. 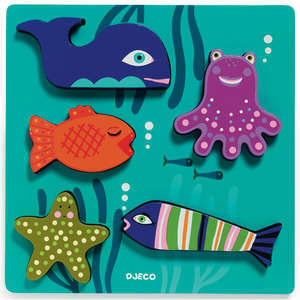 They are a good size for small children and chunky enough to stand unaided. 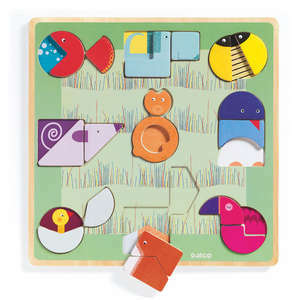 Can you fit the tiny creatures back into the correct spaces in the garden scene? 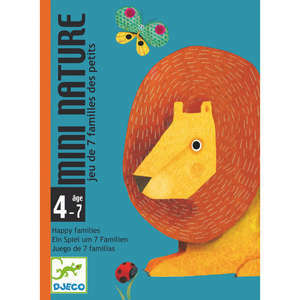 What little beasts can you find in your own garden?